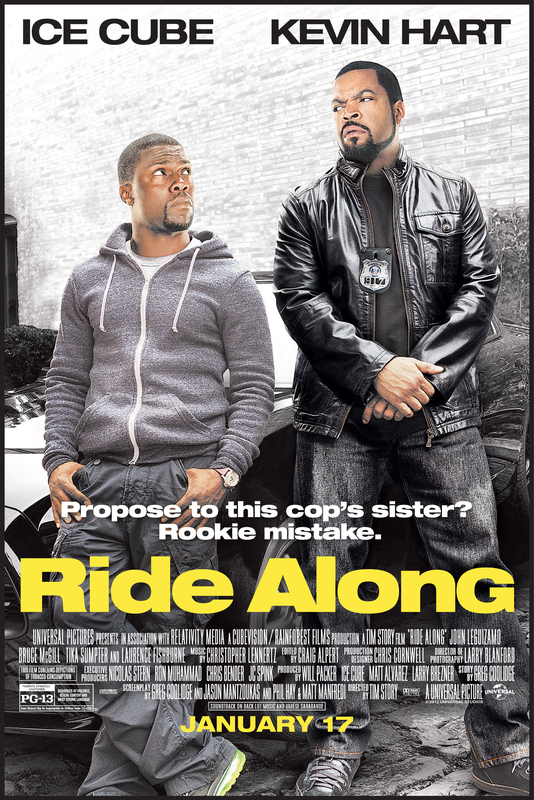 For your chance to see Ride Along on Tuesday, January 14, 2014 at AMC Waterfront, 7:30PM, please comment below with your favorite Kevin Mart moment! Kevin always surprises us with his funny ways… I love him to death. He’s been in so so many movies, it’s hard to pick one great one. My favorite Kevin Hart moment was in the movie “Think like a Man” towards the end when we finally get to see his wife “Wendy Williams” she’s dragging him by the back of his shirt while he’s yelling mean while she’s like 7 foot compared to his 4 foot self….. I loved it, He’s too funny! Please send me 4 passes. Thank you. Kevin Hart is hands down the best comedian out performing right now. His roles in movies and stand-up comedy acts have made him one of the most memorable comedians for years to come. My favorite Kevin Hart moment comes from his stand up comedy show “Let Me Explain”. He explains that when he was a kid, his mom only gave him one time that he was allowed to swear. Kevin’s mother wanted him to tell his teacher to mind her business before Kevin’s mother would go down to the school and beat up the teacher. When the time came for Kevin to approach his teacher, he added many different profanities on his own and got smacked and grounded by his mother when he got home. When I watched his stand-up act, Kevin Hart had me in tears from laughing so hard. He is truly one of my favorite comedians I have ever watched! Funniest kevin hart moment was at the nba celebrity all star weekend.. he acted a fool and theres a gif of him dancing. My favorite Kevin Hart movie was think like a man when he wanted to put in a onesie. I really liked how excited he was in Grudge Match that he was going to be rich. enjoyed him in grude match his tv show is too funny and if i here the word pineapples used besides eating the fruit. alright alright alright. My favorite Kevin Hart moment is from his comedy special where he talked about the time his mom gave him permission to curse at his teacher and he added 20 extra curse words! Lol. He had me crying! I’d love to see Ride Along! Please enter me! I liked Kevin Hart in the movie ‘The Five-Year Engagement’! He’s really funny! Let me explain bum bump had me laughing for days!!! I enjoyed watching Kevin Hart in “The Five Year Engagement” and “The 40 Year Old Virgin”. He’s a funny guy. In the 2004 movie “Soul Pane” Kevin Hart gets his buttocks stuck in an airline toilet and his dog is sucked through a jet engine. He sues the airline and ends up with $100,000,000 and starts his own airline. I really enjoy kevin hart in all of his movies. best man holiday and grudge match. please send me 2 tickets. thank you. At the end of the movie think like a man…him and Wendy were hilarious they Need to do a spin off from that scene. One of my fav k.hart moments was when he was on Real Husbands of Hollywood season 1. He was filming a workout tape. Instead of working out he kept dancing through all the scenes but couldn’t really dance. My friends and I constantly are watching Kevin Hart’s movie “Let me Explain.” And every time I find myself cracking up at the entire movie!! My favorite part of the movie is about the deerbra!! It has me laughing every single time! My boyfriends favorite part is when he talks about Harry and the “code”. He quotes the entire movie each time we watch it! It is the most hilarious movie every and I can’t wait to be able to see “Ride Along”!!!! I love all of Kevin Hart’s stand-up comedy and loved in him the Grudge Match. Kevin Hart is so funny can stop laughing when I see his comedy shows. I use “Pineapples” and “You going to learn today” all the time. I also enjoyed him in the Grudge Match. I have so many favorites I’m not sure which one to choose! I loved him in think like a man my favorite would have to be him in the bathroom asking Wendy if he could come home lol! But I also have been able to enjoy him live each time he’s been in Pittsburgh each time I left with my make up running from laughing so hard I cried! The trailer of this movie Ride Along where Kevin Hart is attempting to fire a shot gun. (very funny). Kevin Hart was the funniest actor in The 40 Year old Virgin…. loved that movie! I hope I win and good luck everyone! In Think Like A Man, the bathroom scene when he was begging Gayle to come back home. He said “Im out here in these streets”. I thought that was hilarious. I got a few But the one video the was on worldstar/YouTube backstage with Meek Mill. Meek tried to get him goin by saying a rip and he ripped on him and EVERYBODY back stage for like 15-20 min lol I’m bouta watch it now! Let me explain was freaking hilarious! Although, he was really funny in Grudge Match and made the movie way funnier than I thought it would be. I would have to say soul plane and 40 years old virgin were defiantly the funniest K. Hart movies he is just stupid funny. Love K. Hart !! Thanks for finally talking about >Ride Along Passes | Movie Scene Queen <Loved it! Soul Plane was my favorite and think like a man!